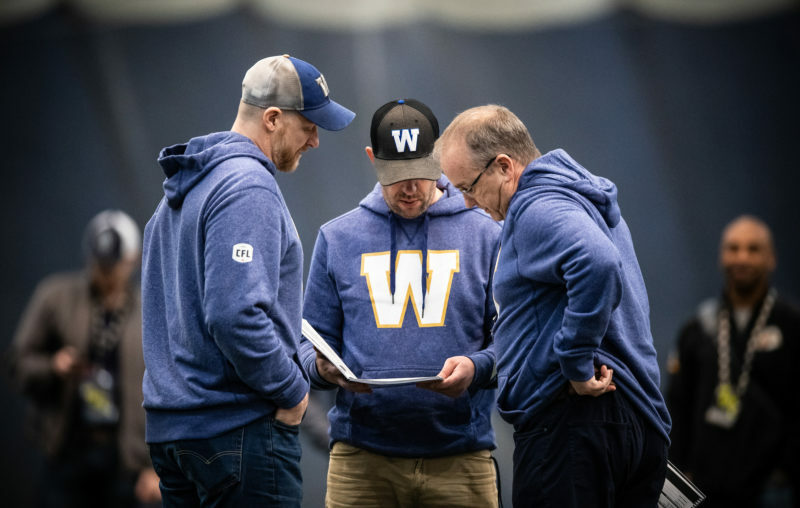 For the third time in four years, the battle for top spot in the Winnipeg High School Football League was between the Vincent Massey Trojans and St. Paul’s Crusaders. When these two juggernauts met in the regular season, it was the Trojans who came out on top 14-10. 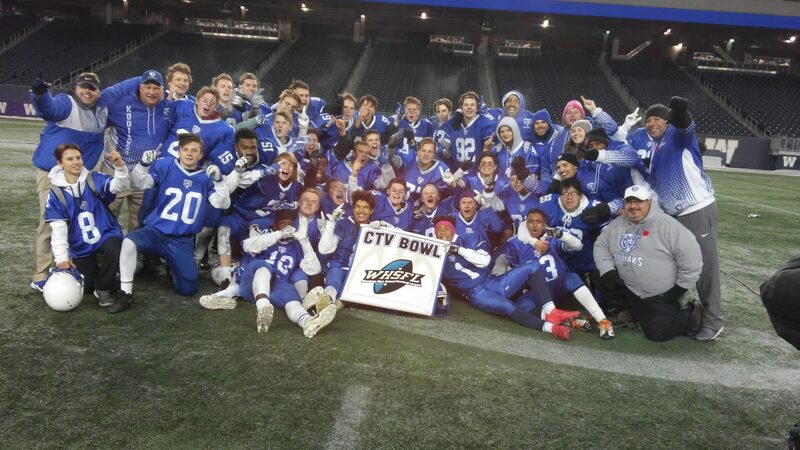 And Friday night at Investors Group Field the Trojans walked away with a WHSFL title after a thrilling 28-25 victory in the ANAVETS Bowl. The Trojans had a lead as large as 11 points in the fourth quarter, but that 22-11 advantage evaporated down the stretch. The Crusaders remained resilient behind the brilliance of quarterback Brody Lawson. Lawson found Muludesta Yitna for a 40-yard touchdown to make it 21-18, then scrambled into the end zone from eight yards out to make it 25-21 for the Crusaders with 2:21 left in the game. The Trojans were not to be outdone, though. Tachinski started the final Trojans drive on the 16-yard line, giving him 94 yards to get down the field. He found receiver Riley Ho from 20 yards out to give the Trojans a 28-25 lead with 30 seconds left. Despite all this the Crusaders drove back down the field to set themselves up for a game-tying field goal. Vince DeRosa’s 32-yard field goal attempt was blocked by Kyler Filewich, and the Trojans resumed their position atop the football totem pole. After a defensive slugfest in the first three quarters, the fourth allowed better offensive success for both teams, who each scored 14 points. The game opened with a very physical opening quarter. The Trojans made it a point to include running back Breydon Stubbs in the offence with a deadly power running formation: three running backs behind Tachinski. Stubbs rewarded the great blocking with a one-yard rushing touchdown to put the first points of the game on the board. The Crusaders would not be without a response, as Lawson found Yitna in the end zone for a 15-yard score to even the scoring. “The first drive they kinda punched us in the mouth a little bit, and we reacted a little better after that,” Dainard said of the first quarter. The Crusaders defence tightened up in the second quarter, punishing the Trojans for poor field position with two safeties. The Crusaders defense was led by Tyler Grom who finished the game with seven tackles and Vince DeRosa who has an interception in the third quarter. River East head coach Sean Oleksewycz had been waiting for his opportunity. 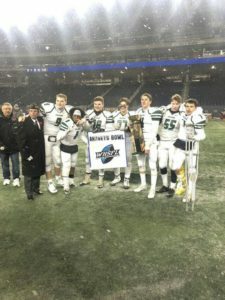 Friday night at Investor’s Group Field the River East Kodiaks rallied to defeat the Kelvin Clippers 22-14 in the WHSFL Division Two Final — the CTV Bowl — capturing their first title in two decades. The last time these two squads met was in the regular season, it was a 33-0 shut-out in favour of the Kodiaks. Quarterback Sam Hezekiah was in control of the Kodiaks offence, running the read-option down the field for a 12-yard field goal in the first quarter to put them up 3-0. Shortly after, Kodiaks linebacker Joshua Desjarlais blocked an Ethan Nagler punt that was recovered by Joseph Funk-Clements and returned for a touchdown. A 35-yard field goal minutes later by Reece Wyke put the Kodiaks up 13-0 at the half. 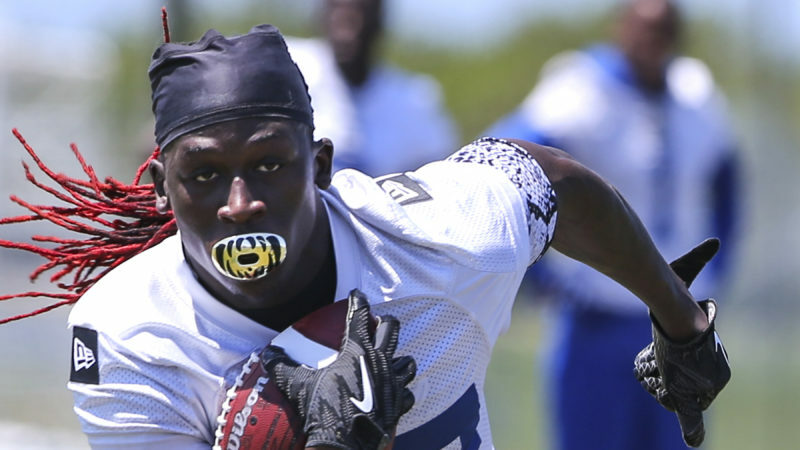 Hezekiah finished the game with a fumble recovery and a fourth quarter interception that he ran back for a touchdown. He played an incredible game on both sides of the ball. “As I saw (the pass from the Clippers’ quarterback) coming, I just thought ‘thank you so much,’” Hezekiah said of his interception that put the Kodiaks up 19-14 with 9:44 left to play. 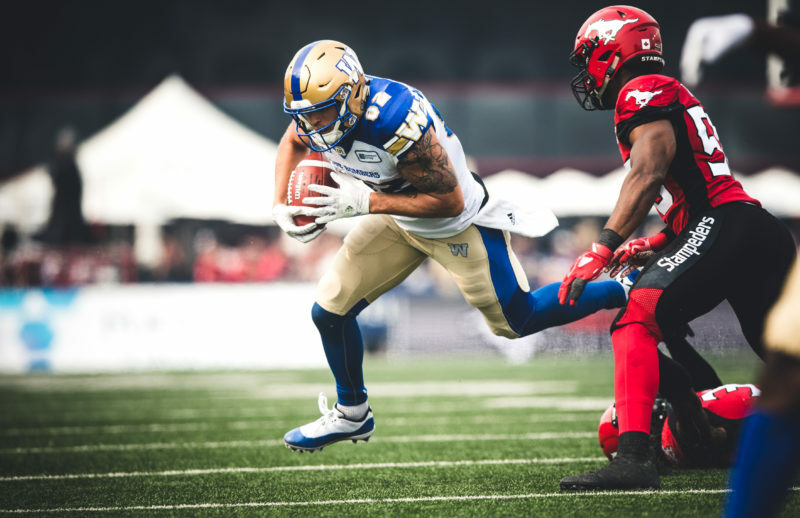 Even after the late game heroics on defence, Hezekiah found himself with the ball on the Clippers 32-yard line with 30 seconds to play. He ran for ten yards, breaking multiple tackles along the way for a first down that would end the game. The second half was looking like the Kodiaks were ready to pull away, with the Clippers fumbling the opening kickoff in dangerous territory. However, after a missed field goal, the Clippers were led by quarterback Daniel Moroz from their own 20-yard line to the one-yard line of River East. Liam Stephenson punched it in to make it 13-7. The Clippers continued with the pressure with a 50-yard punt return touchdown from Robin Brooks. Shortly after, Moroz found Fast in the end zone for a four-yard touchdown pass giving Kelvin a 14-13 lead. It was the only time they held the lead in the game. The Kodiaks came alive after losing the lead, using Hezekiah’s pick-six and two field goals from Wyke in the fourth quarter to win 22-14.